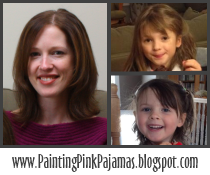 Painting Pink Pajamas: What would you say? I've been having one of those days where I just love life. Seeing my little girl, talking with her, playing with her, snuggling and reading books... I can't seem to stop hugging and kissing her today. I'm just filled with so much amazement that we created her, and I'm so happy that I get to be a part of her life and watch her learn and grow every day! I heard a song, Say What You Will by Justin Hines today, and I looked on YouTube for a video. It's so touching that I just had to share it. It makes me think of so many people in my life. I smile whenever I think of you. Hugs are better than bandaids. I would have responded sooner but I wanted to make sure that we had people who were willing to ship internationally. So, there are quite a few who said yes, so send me your information and I will put you on the list for the swap! Thanks for your interest.